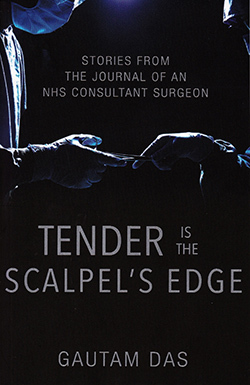 This collection of stories from the journal of an NHS surgeon covers many years and locations as the author trains as a doctor and works in various roles in the NHS. The style of writing can be a little too wordy at first but is easy to read with colourful descriptions are colourful and relevant details. The descriptions of places, people, colleagues and growing up in India take the reader on a delightful journey. Though the author's field was urology, not all the stories within the book are about that speciality. Each of the 21 chapters depicts a patient episode or a health care situation and occasionally switches between the author's work and home life. An underlying theme is the experience of the health care system from the perspective of the patient and their families, some of them realistically heartbreaking. It is probably not a book to read in one go and each chapter can be read as a self-contained story in itself. The book does give a detailed overview of a varied career and the diversity of the people the author has met, treated and worked with over the years.